When I met Cayla, we connected—maybe it was because she was a teacher (just as I had been) or because we had similar paths, or because she teared up when telling me the story of how she met Evan....but I just knew she was a beautiful soul and I was so excited to be able to work with her. 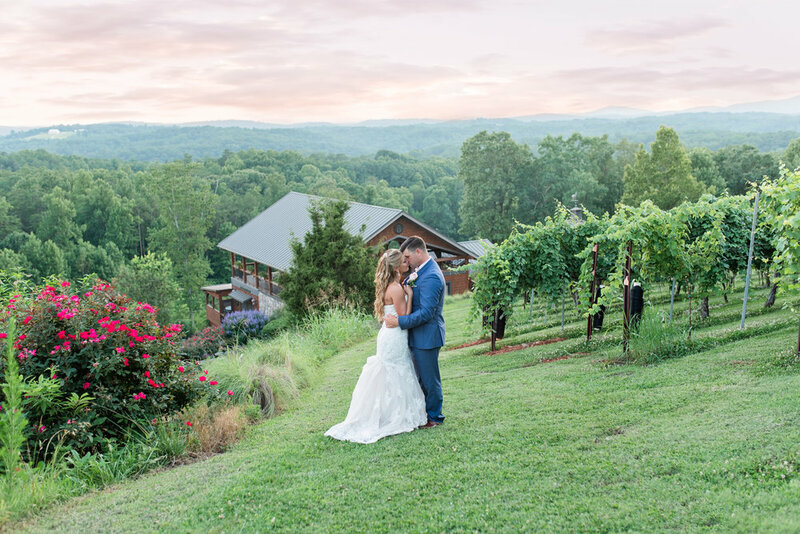 Her wedding took place at Wolf Mountain Vineyards—a Vineyard and restaurant nestled among the North Georgia Mountains in the historic town of Dahlonega. 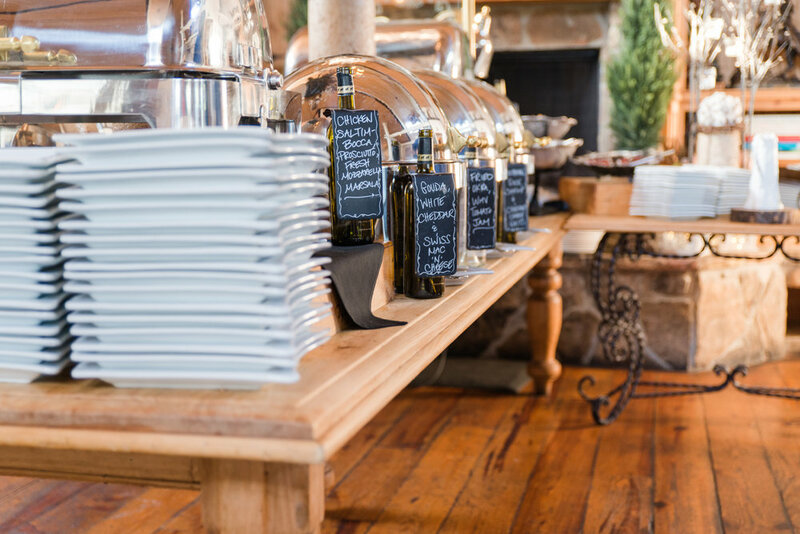 When I arrived, I met with her beautiful bridesmaids and got to work photographing her details. 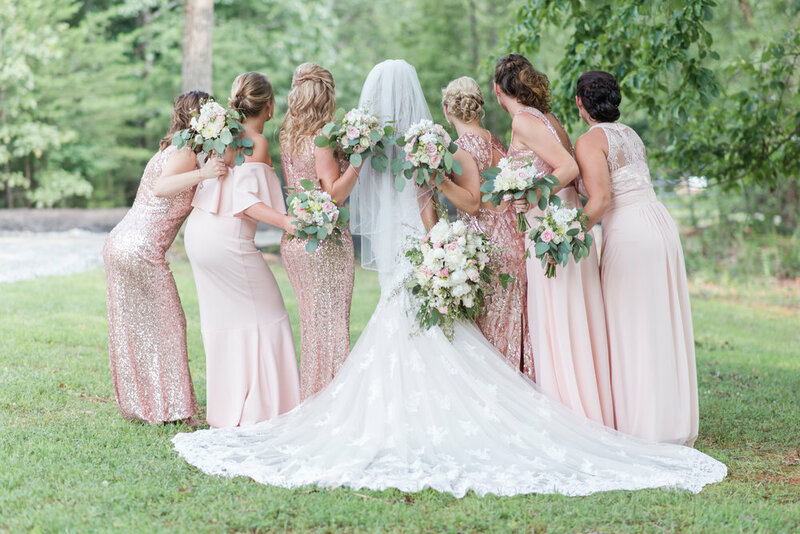 Cayla had chosen a stunning mermaid style gown that flared out into a champagne colored lace train...and was just gorgeous! 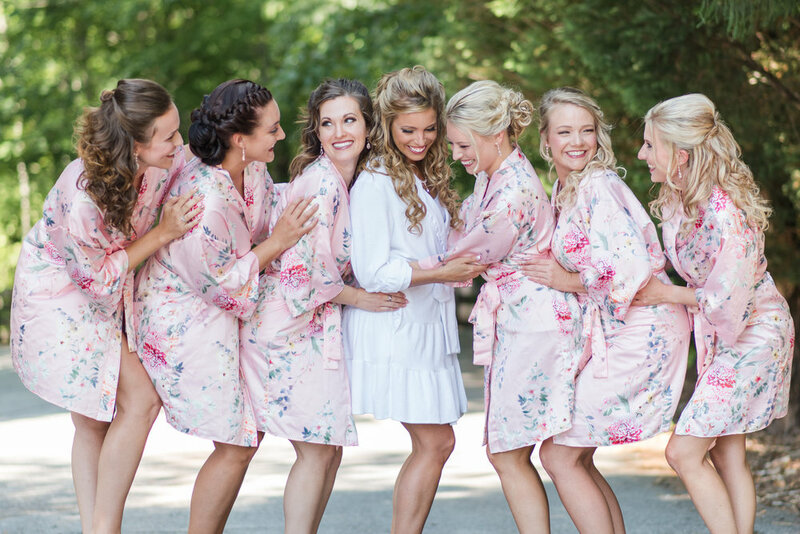 She and her girls looked stunning in their floral printed robes, and then later in their rose-gold gowns. I loved that Cayla had picked different styles for each of her girls, but the gowns all went together beautifully. One thing that stood out to me about Cayla was that she had taken the time to write each of her girls a personal letter—it again was a testament to her sweet and thoughtful nature. There were lots of tears shed while the girls read their letters...it was really a touching moment! 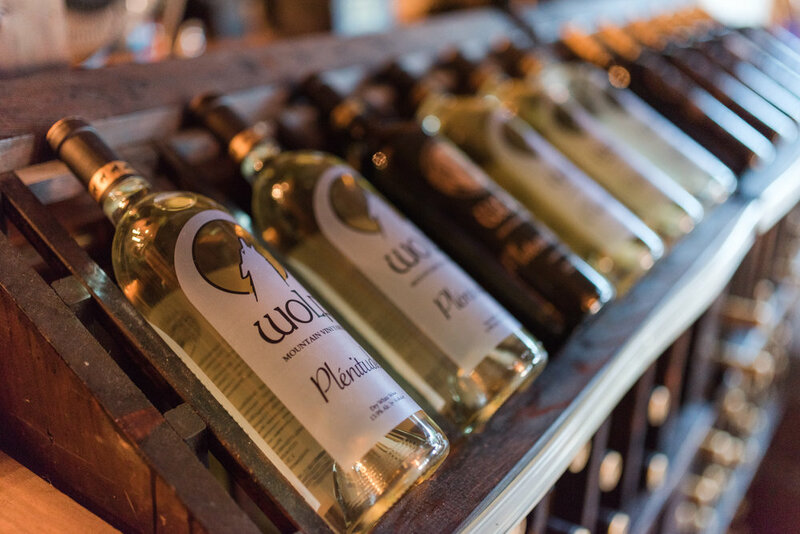 Trish and I met the guys in the wine cellar—and they were only too excited to take their photos in the cool, temperature-controlled room. 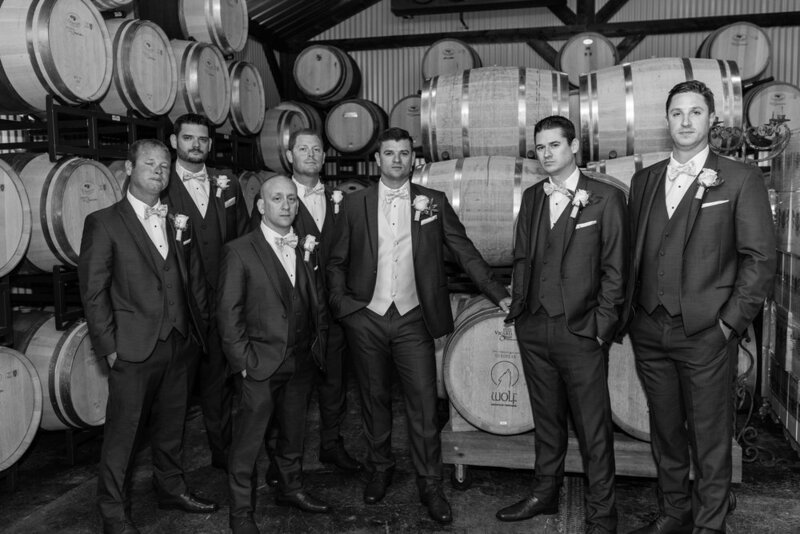 We got some great shots of them with the wine barrels in the background, and once we finished with that we were on a tight timeline the rest of the day! 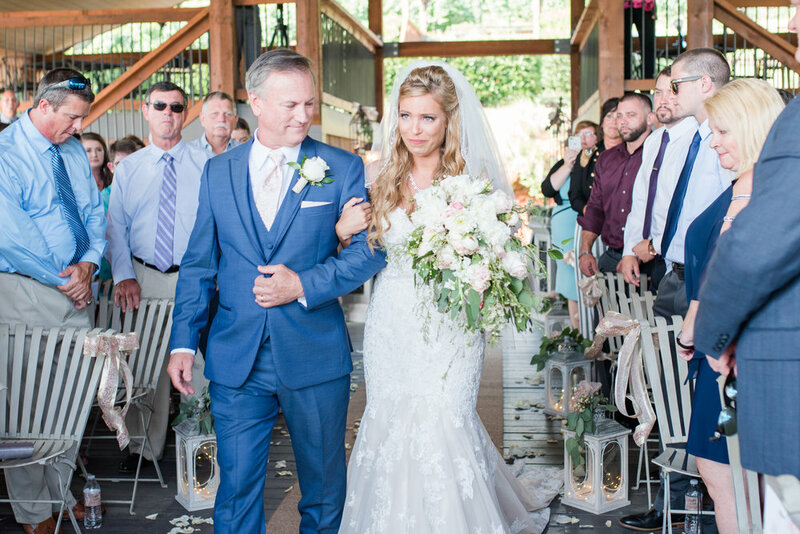 The ceremony was God-centered and Cayla’s walk down the aisle was emotional. 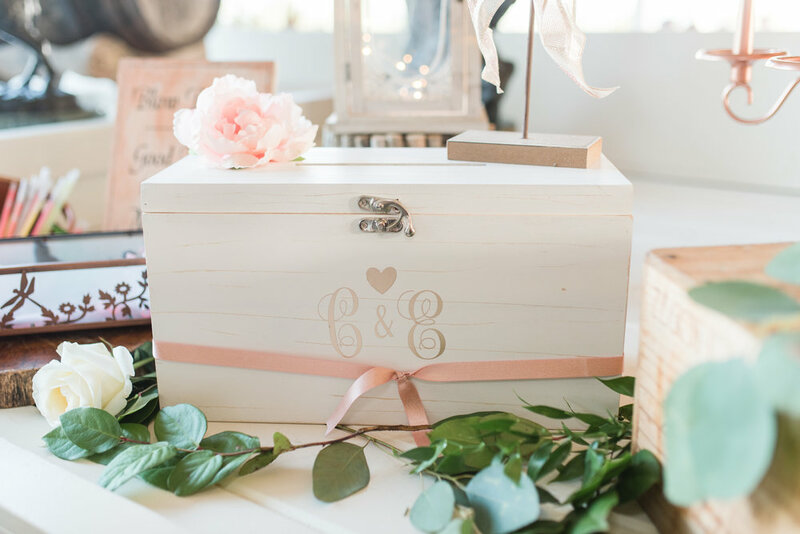 She and Evan put together a cross sculpture to display in their home, and ya’ll—when the officiant told Evan to kiss the bride, Cayla’s huge grin and shoulder shimmy made everyone laugh! Her joy was just infectious. We hung out in the Vineyards for their bride/groom portraits, and although we didn’t have as much time as usual, we dipped back outside after the cake was cut to grab some beautiful images of Cayla and Evan with the sun setting behind the rolling mountains in the distance. 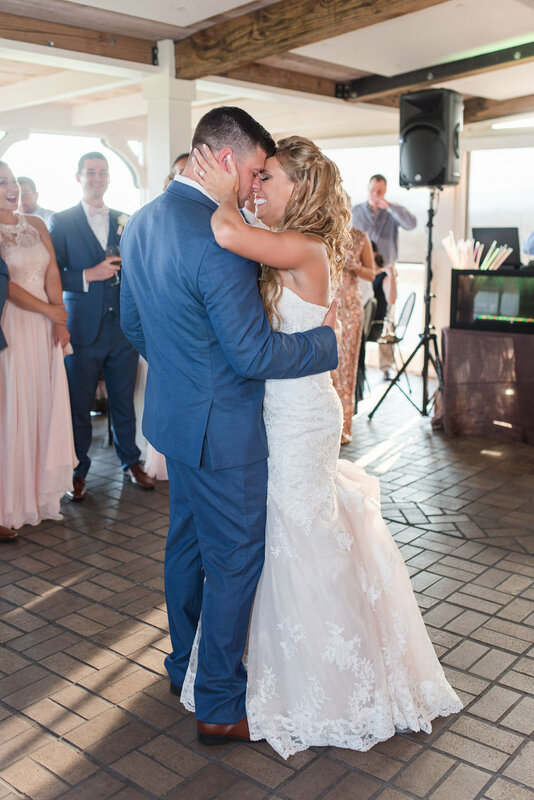 Cayla danced with her grandfather to Strawberry Wine, tossed the bouquet to her sweet aunt, and with a bubble send-off Evan helped her step into his black truck and they rode away to their happily ever after. I’m so thankful I was able to be a part of their beautiful vineyard wedding—may God bless your marriage and I’m so glad you’ve found your happily ever after!